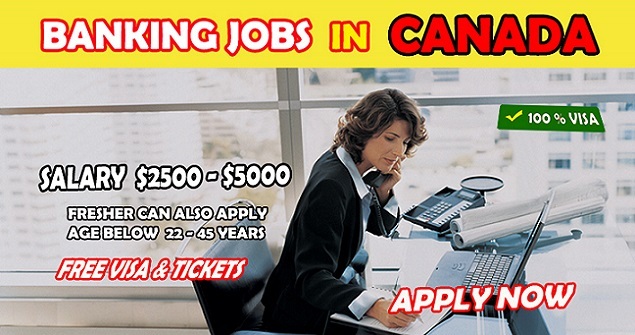 The financial sector is always a booming industry, so if you are looking for bank jobs in Canada, you could be in luck. There are many areas of employment within the banking industry, some only suitable for those with considerable experience and relevant qualifications, but others are accessible to those who are happy to start at the bottom of the career ladder and work upwards. This article looks at the main types of roles within this job sector, the types of qualifications that are necessary to secure bank jobs in Canada and the best places to begin your job search. Although many people feel that they know what banking involves i.e. taking deposits from customers, providing loans for those in need charging interest on those products, in fact the banking sector is a lot more complex than that. For a start there are several types of banks including investment banks, commercial and savings banks and private banks, each serving the needs of different customers and each offering their own opportunities within the job market. While commercial and savings banks handle the needs of private customers and companies, private banks focus solely on the needs of high net worth private clients and are a very lucrative market. Investment banking on the other hand handles the financial requirements of major corporations including the issuance of bonds and stocks as well as advising on any mergers and acquisitions. This is also a very well paid sector however it requires considerable experience and skill. Bank tellers - the customer service side of the banking sector, bank tellers handle face to face in-branch transactions. Loan officers - fulfilling a key function, a loan officer must determine the financial circumstances of loan applicants to determine whether or not they are suitable to borrow money. Relationship manager - serving the needs of the bank's most important and wealthy customers, a relationship manager works on a much more personal level to ensure the customer's satisfaction. Private banker - with expertise in handling the needs of extremely wealthy customers, a private banker works on a one to one level with premium clients to ensure their money is invested wisely. Investment banker - charged with raising funds for corporations through the issuance of securities as well as providing advice on acquisitions and mergers, investment bankers can rapidly rise through the ranks to make large sums of money. The qualifications and skills necessary to obtain bank jobs in Canada vary greatly depending on the type of role being applied for. For example, in order to get a position as a bank teller, there will be fewer requirements than would be needed when applying for a post as an investment banker. In general, a customer service role would be considered to be an entry level position and a good place for anyone with limited or no experience to start. However there are certain qualifications that you must have as a basic starting point. Firstly, you must have a good standard of education including a degree, preferably in a strong and relevant subject. For some banking roles, a law degree is even considered to be the best possible choice. You will also need to have passed the CSC (Canadian Securities Course) or the Investment Funds in Canada course (IFIC) in order to be able to access any higher level financial sector position. Luckily, there are many courses nationwide offering these courses and these centers are frequently used for recruitment by leading banks so they are a good way to secure a top position. There are many general job websites which regularly list all types of banking vacancies on their Web Pages. A regular visit to these will turn up many suitable positions that you can apply for. Alternatively, visiting the homepages of all of Canada's major banks will help you to find out which roles are currently vacant as the majority of banking institutions still recruit through their websites.